Windform laser sintering materials have conquered the space. 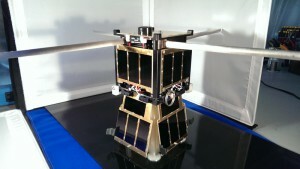 CRP USA announced the successful launch of Windform as part of the collaborative KySat-2 project, a 1U CubeSat, by students at the University of Kentucky and Morehead State University, in conjunction with Kentucky Space acting as the mission manager and coordinator. “Congratulations to the KySat-2 team on a very successful launch. We are excited for the KySat-2 team, and are looking forward to following their mission,” said Stewart Davis, Director of Operations CRP USA. The collaborative team of students from the University of Kentucky and Morehead State University along with Kentucky Space, launched the KySat-2 into orbit as part of the NASA ElaNa IV mission out of Wallops Flight Facility in Virginia. Thirty-five (35) minutes after deployment from the launch vehicle, KySat-2 began beaconing its telemetry data and was almost immediately heard by amateur radio operators. Since then, the KySat-2 team began performing system checks for each of the various subsystems that make up the satellite. According to the KySat-2 team, all systems have been performing nominally. “There were several 3d printed components on the KySat-2 made by CRP USA from CRP Technology’s proprietary material Windform XT 2.0,” explains Twyman Clements, KySat-2 Project Manager, Kentucky Space. “One of the subsystems, is the camera systems that acts as an attitude determination system called Stellar Gyro. The 3d printed parts, were produced using the additive manufacturing technology Selective Laser Sintering and Windform XT 2.0 material. The additive manufactured process 3d printed the mounting hardware for the camera system, extensions for the separation switches, clips for holding the antennas in their stowed position, and the mounting bracket for the on board batteries. The process and the material were critical to achieve the right components for KySat-2.” KySat-2’s main mission is to be an educational tool and demonstration for the students working on the satellite. KySat-2 was designed, built, and tested entirely by students and engineers, with most of the subsystems designed in-house. CRP USA together with CRP Technology produced five Windform XT 2.0 parts that are incorporated into the deployable solar panels on the KySat-2; camera annulus, lens cover, deployable extensions, antenna clips, and battery holders. One of the highest levels of Windform materials, Windform XT 2.0 is a high performance material filled with carbon fiber and offers maximum mechanical performance for 3D-printed parts. The material combines maximum toughness and robustness, yet produces an extremely light, final part that doesn’t impact the overall production weight of the KySat-2 unit. 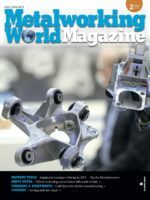 Utilizing the additive manufactured technology, Selective Laser Sintering (SLS), and Windform XT 2.0 material final parts for small productions can easily replace parts that are usually produced with traditional technology, or are otherwise unmanufacturable. This makes Windform a material that can stretch the limits of SLS applications, even in space applications.